05-24-14 End of Year Banquet. Thank you for being a part of this journey; your efforts do not go unnoticed, and we hope you continue down this path with us. 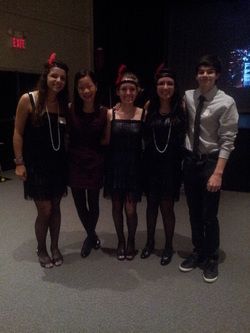 Key Club doesn't end with the school year: it continues on in the summer! So stay posted on Facebook, Remind101, and on this website because we have a lot of fun stuff planned for y'all! 05-17-14 Mutts 'n Meows! For those of you wondering about how we were able to volunteer, we didn't hear about it being cancelled until later. They accepted our help because only a few of us were there. 04-24-14 to 04-27-14 District Convention in Dallas! 3-29-14 Trash Bash at Terry Hershey Park! 3-07-14 Interclub Social with Cinco! Group photos at the Houston Food Bank! Thanksgiving and Christmas volunteering was great! From the CAPS Howl-o-ween Dog Walk! Thanks for coming out and volunteering; the dogs and their costumes were really cute! Katy Rice Harvest Festival! It was a fun experience selling drinks in Old Katy. Thanks for coming out and working hard! Stomp Out Bullying Day! Thank you all for your participation in our anti-bullying efforts! The new Key Club year is here! 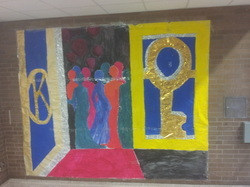 Key Club began the year with an awesome HC Wall!! Taylor Homecoming and All That Jazz. Thank you to all the members that came and helped out! you are wonderful! This event is not just for officers, it is for anyone who wants to go. There are awesome forums on officer positions, motivation, service, and Key Club! I highly encourage anyone who wishes to, to attend. It's once a year, and does not cost any money! It was an awesome and inspiring event.